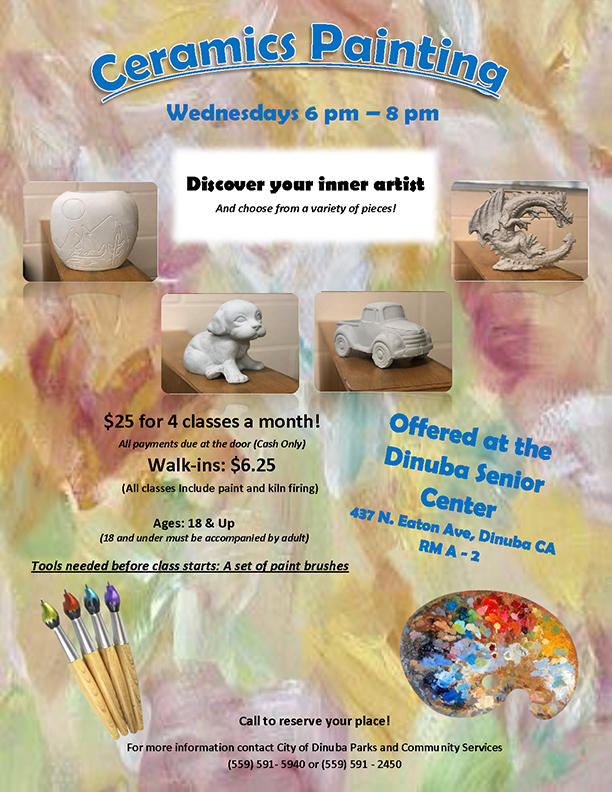 The Dinuba Senior Center offers a variety of activities and programs for seniors (age 55 and over) to come and fellowship with peers, exercise their talents and enjoy a nutritional lunch. Tuesday & Thursday from 8am to 3pm and Wednesday from 8am to 12pm. King’s River Quilter’s Guild meet in the Social Hall, on 2nd Saturday of every month. Lunch is served in the Social Hall on Tuesday and Thursday. Seniors age 55 and over are welcome. Invite your senior friends and senior family members to join us for lunch! Healthy, nutritional meals are prepared by the Dinuba Unified School District Food Services department. The City subsidizes the cost in order to provide a reasonable priced lunch for seniors ($1.50). Lunches are served all year, except observed & major holidays. For more information, questions or concerns, please call the Senior Center at 559/591-2450. Dinuba Senior Center facilities are available to rent for meetings, trainings, parties, receptions, etc. (certain restrictions apply). Download the latest Senior Center Newsletter below.